A look at the nurturing techniques of the male midwife toad, who is charged with looking after the newborn eggs. Iberian midwife toads mate from September to March each year. During mating season, the male and female midwife toads entwine, which causes the female to release her eggs. 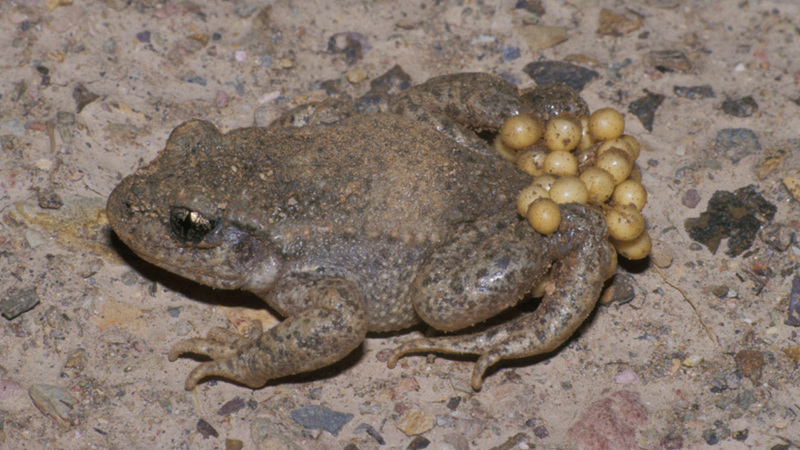 The male midwife toad carries the eggs for weeks until a nursery pool can be found. Seasonal rains provide pools and ponds that are suitable nurseries for the midwife toad's eggs. High in the rocky landscape of northern Spain, the male Iberian midwife toad plays an unconventional role in nurturing his young during their first stages of life. The mating season runs from September to March, peaking in October and November.